When you misidentify an issue, don’t understand its underlying causes, try to solve only one aspect of a problem, or try to deal with any of the complex factors that come with growth, it can create chaos in your business. One of the most critical and beneficial steps you can take is to understand your fundamental growth issues and address them before they arise. Using the TTI Success Insight Stages of Growth X-Ray™ program, we can determine your company’s current stage of growth; critically assess your past, present and future so you can focus on the right things at the right time; identify the hidden agents – defined as 27 Challenges – that are impacting your company’s ability to grow; and develop a plan to solve those issues. 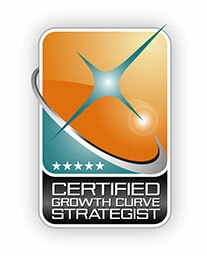 This business alignment tool is part of James Fischer’s 7 Stages of Growth research. How prepared are you to predict how growth will impact your company? Contact us and we’ll help you find out. We look forward to working with you.